MELBOURNE, 29 December 2016: The Andrews Labor Government is gearing up to introduce a new colour-coded train map next year, to make it quicker and easier for passengers to find their way on Victoria’s rail network. 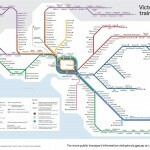 “The new map also combines the metropolitan and regional networks on the same map for the first time, so passengers don’t need to swap from map-to-map if they’re traveling between Melbourne and regional Victoria,” says the Minister. Colors have been carefully chosen to be distinguishable by people with the two most common types of color vision impairment, and are the same colors as Public Transport Victoria’s (PTV) live travel updates. By showing at a glance which lines are which when they leave the loop, passengers will be able to see when they can stay on a train to connect to a new line. 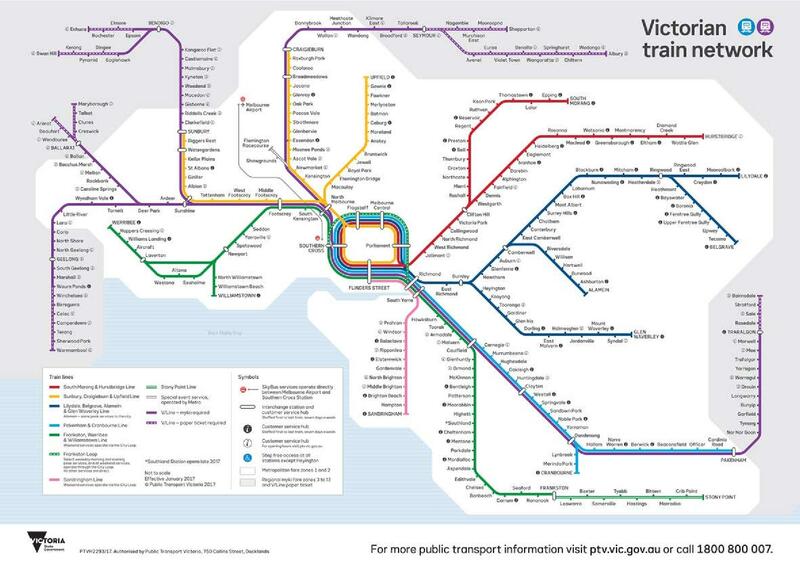 The map also integrates the metropolitan and regional train networks for the first time, reflecting the increasing integration of Metro and V/Line services and removing the need for passengers to swap between maps if traveling between Melbourne and regional Victoria. The new map also includes a grid linked to an alphabetical index at the side, to help users locate unfamiliar stations. 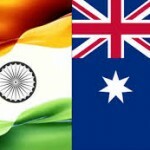 It will be progressively rolled out on all metropolitan trains and stations from 1 January 2017.